Home » Twitter » #EPMovieNight Twitter Party and Live Tweet of Leap Year! We are so excited for The Perfect Bargain by NYT Bestselling author Julia London that we decided to hold the first ever #EPMovieNight Twitter Party tonight 6/11 at 9PM EST to celebrate!! 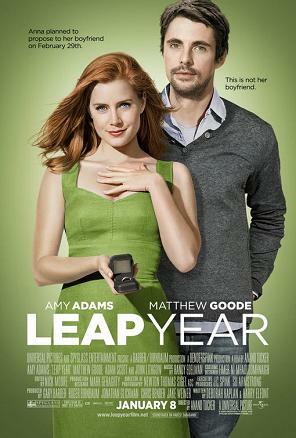 We’ll be having tons of great prizes, and we will be live tweeting about the movie Leap Year. In addition to the awesome prizes during the party, there’s a grand prize giveaway of a Movie Night Prize pack including four favorite romantic comedy movies and some goodies to make your own movie night perfect. Be sure to stop by and use the hashtag #EPMovieNight to be entered into the grand prize drawing! What : We’ll be watching the romantic comedy Leap Year, talking about all of our favorite romantic comedies, and asking fun questions. Answer for a chance to win some of the many fabulous prizes! Just make sure to include the hashtag #EPMovieNight in your responses. One participant will be the grand prize winner of an Entangled Movie Night Prize Pack. This lets you pause the feed, set it slower or faster, and if you “authorize the app” with your twitter address let’s you post replies in real time. Your hosts tonight are @EntangledPub and @MeredithRaeJ, so make sure to pay close attention to whatever those two handles post. Don’t forget to mention the #EPMovieNight hashtag in your replies!